Bought this watch set and really enjoy it. The bracelet straps is very pretty. 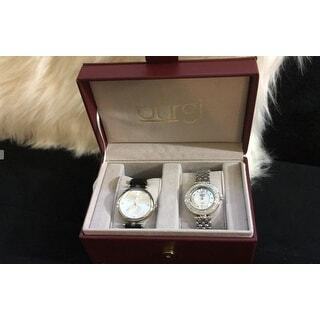 This set comes with two beautiful watches in a decent box. 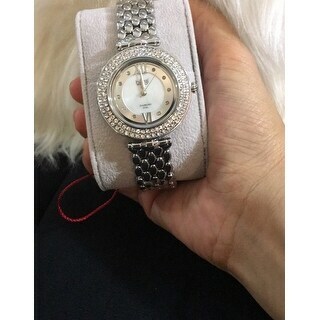 The silver watch is very beautiful with sharp details. It is very elegant. The black leather strap one has bigger case and more ordinary look, which suits people that do not like too sparkling looking. The box is not very sharp, though. Overall, the quality well matches the price. the metal strap keeps falling apart, and the bezel has already lost 2 stones. the leather face is very large, but okay for current styles. These watches are beautiful. The silver one however has a clasp issue. I have to get it fixed. Metal band became scratced the first time I wore it showing a copper color beneath the silver. Based on MSRP, this should not happen. Not Overstock.com's fault, but this never happened with my Movado (purchased here too) and I've worn it almost 10 years. 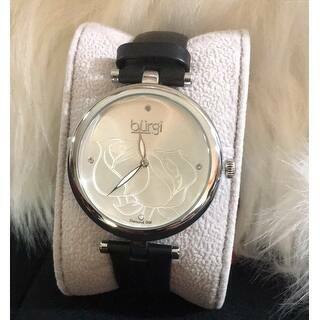 Beautiful watches! Purchase as a gift and was happy with my purchase. The watches come in a beautiful leather like box. 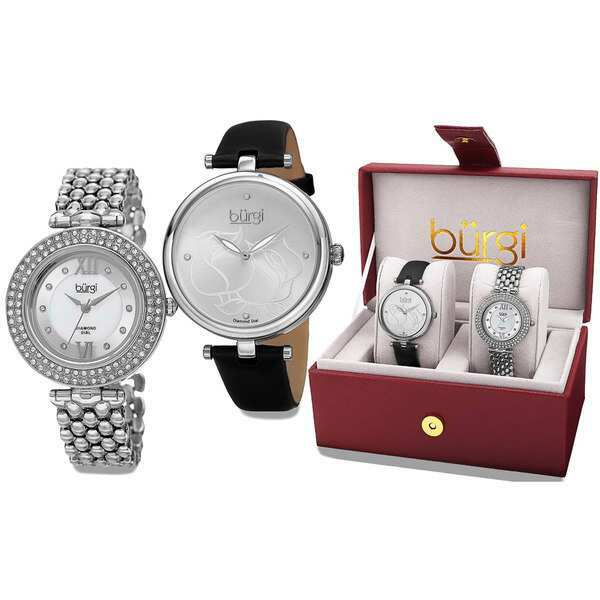 I am really not a watch wearer but I must admit this set was very nice and a good quality. "Is the silver tone watch a closed bracelet or an open bracelet?" The silver-tone bracelet closes with a jewelry clasp.